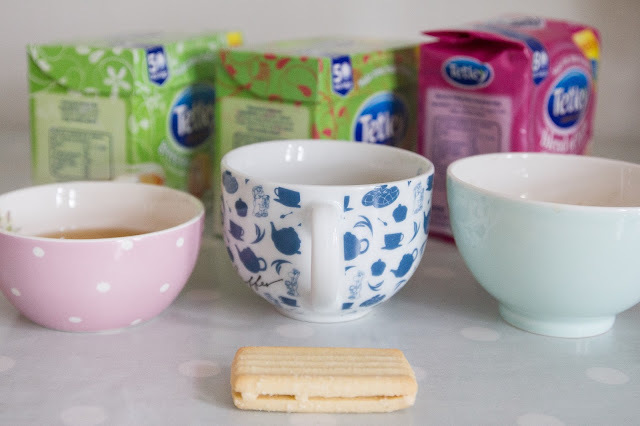 You may have read all about my amazing Tetley Tea Tasting visit, if you missed it you can read it here. Along with my invitation to the Tea Tasting headquarters, I was given some Tea to taste in my own home and give them a little review. 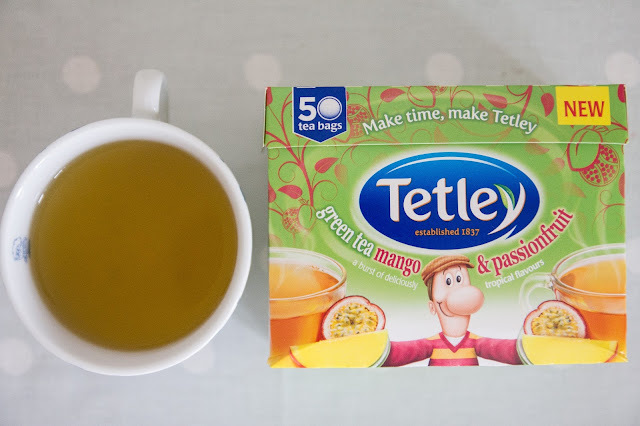 Green Tea with Mango & Passionfruit, Green Tea with Jasmine and Blend of Both. This fruity smelling tea gives an exotic summery feel. Which is perfect for our English on-off Summer weather. I like the fruity taste, especially when it hits the back of my throat. The Mango is the strongest taste in the mix. Which is quite funny as I am not a huge fan of Mango, but I really like this Tea! Perhaps I should give Mango fruit another chance. Fruit Teas usually let me down. The aroma is so overpowering and inviting, as soon as it hits your tastebuds it is a huge disappointment. 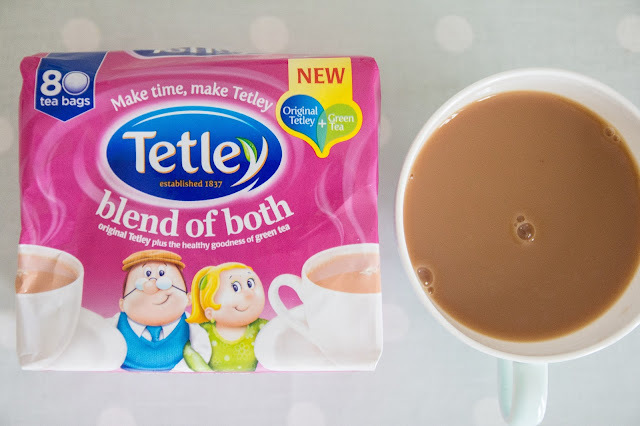 But Tetley is something very different! What you smell is what you get! This tea is a lovely orangey colour with a pretty floral aroma. A perfect bedtime drink for me. I like anything with a hint of floral, this tea has more of a hint and is quite calming. I like the floral taste, but Sebastian didn't like it as much. He said it was a little bitter. I think maybe a little sprinkling of sugar may help to convince him otherwise. Though he was pretty set on the Green Tea with Mango & Passionfruit. 72% Black Tea 28% Green Tea. The balance of the two teas are perfect. The subtlety of the green tea makes this blend just right. I would happily have this with my granola and fruit or cheeky fried egg sandwich in the mornings. 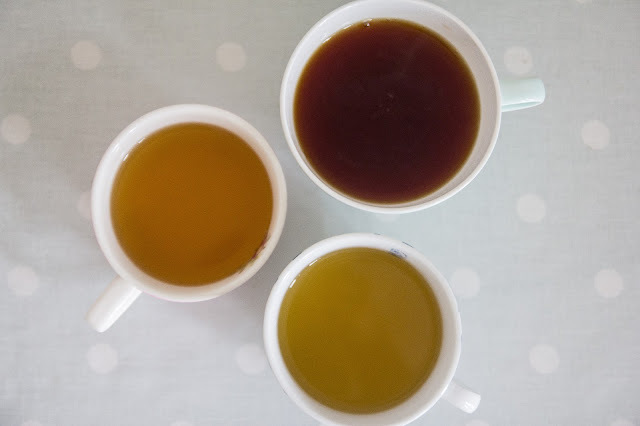 The green tea is a lovely subtle taste and doesn't overpower the black tea which I love. 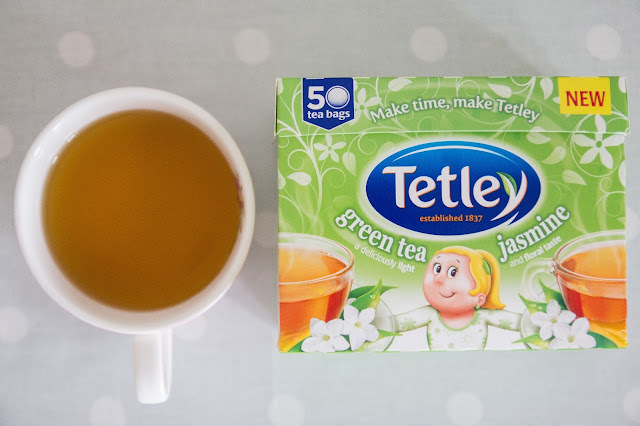 'A regular cup of tea, but with all the benefits of green tea'. This delightful cup can be enjoyed with or without milk. Though I like a good black tea with a splash of milk to create a perfect orangey varnish colour. I love trying new things but I am a real black tea girl at heart and love love the Blend of Both. I have been having these at work and I secretly feel great knowing it's part green! Sebastian loves the Green Tea Mango & Passionfruit best, but does enjoy a Blend of Both too. What is your favourite? If you are yet to try any of these in the range... you should! Green tea not only offers a great tasting drink but is also really good in terms of keeping healthy! 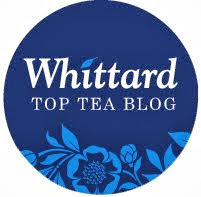 I love that your blog is dedicated largely to tea as it is definitely something that is underrated!